Floor plans with a two story living room continue to be a top request for 2014 Raleigh custom homes. 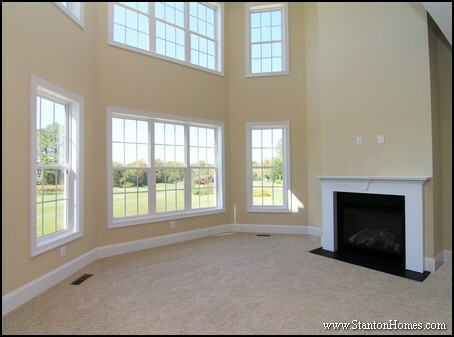 While two story rooms are not for everyone - they tend to be a "love it" or "hate it" home design - we've put together a photo gallery of two story living rooms. These living room design pictures - with decorating tips - will show you how to take full advantage of a two story design. 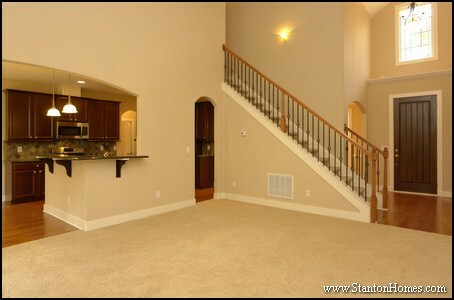 Two story living rooms should take advantage of their square footage - not get lost in open space. One way to avoid the appearance of too much open space is to create distinct lines of sight in each direction. 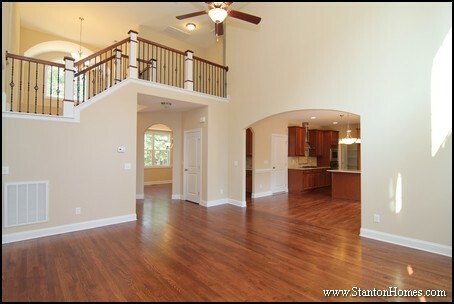 For instance, from every angle, there is something to view in this two story living room. This space feels warm and full - with a balcony overlook, open loft, and archway to the kitchen. An intricate window design with center fireplace creates the much sought-after "wow" effect, with an added sense of coziness. 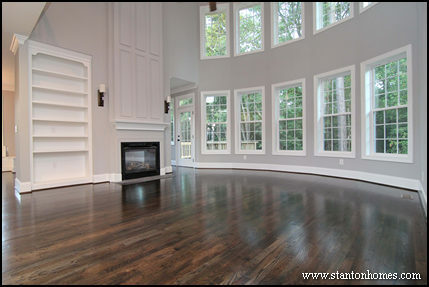 Some claim that two story living rooms waste space - but that is a personal preference. 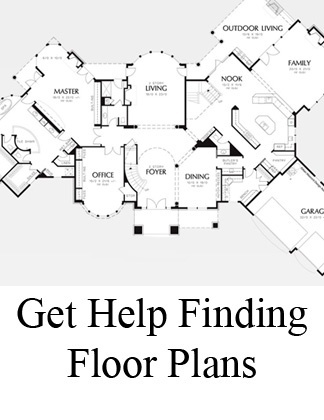 If you hate the two story design, talk to your builder about floor plan modifications. 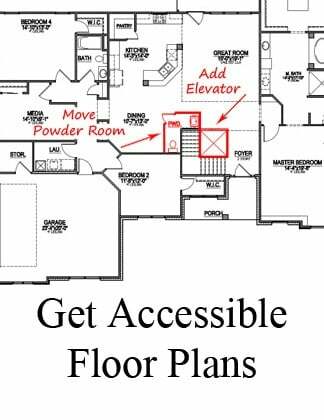 Most floor plans with a two story living room can be easily converted to include a second story bonus room or additional bedroom. What is your lifestyle? Do you love to entertain and host events? If so, a impressive two story living room could be a non-negotiable design feature. The Summerlyn, a floor plan by Frank Betz, easily converts into a 10' first floor living room with second story open loft/bonus room. See a photo of the two story version of this home, below. 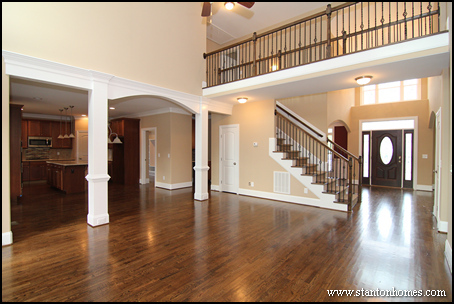 Click here to see a comparison of two versions of The Summerlyn - one with a two story living room and one with a bonus room above. The number of windows in your home - often blamed for inefficient heating and cooling in the two story living room design - will influence energy consumption. 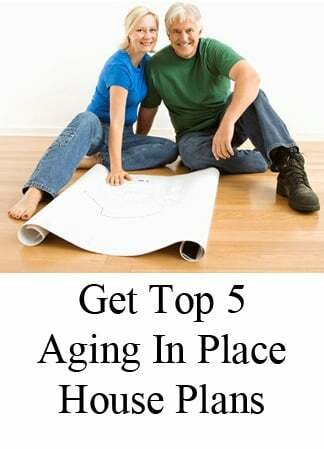 However, modern technologies and building techniques will increase the energy efficiency of your home, making the choice to add windows - and two story spaces - stress-free. 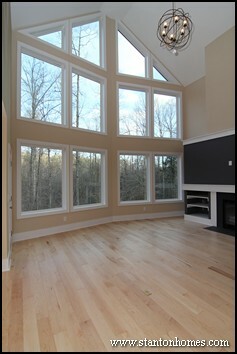 In fact, most two story living rooms do not call for a significant increase in the number of windows on your home. 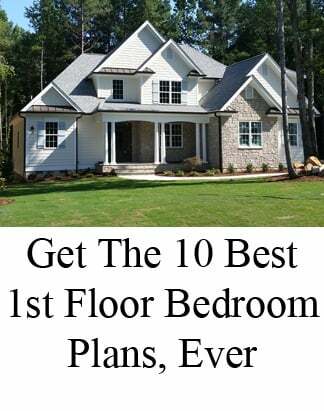 Remember, the bonus room or bedroom above would still need windows! Learn more about green home building techniques - such as spray foam insulation - here. 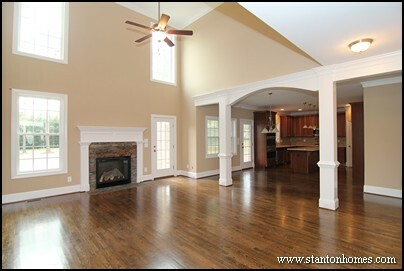 Vaulted living rooms are also considered "two story" rooms by many architects. 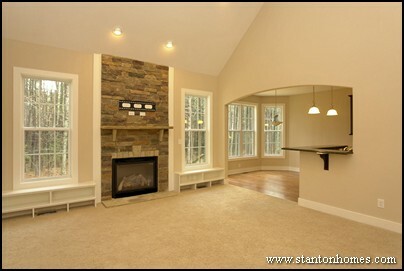 A vaulted living room can be a good compromise for those who want soaring spaces and a one-story focal wall. In this version of The Beaufort, a Frank Betz floor plan, a two story foyer leads into a two story living room with vaulted ceiling design. 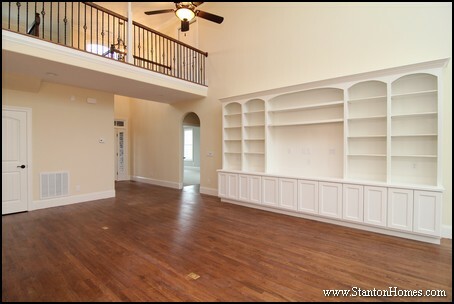 Crown molding is a great way to delineate the space of a two story wall. If you place wide trim about two-thirds up a wall, your eyes will pause at that mid-level height. Your walls will seem more balanced, without losing out on first impressions the dramatic height of the room will create. In this home, wide molding designed into an archway serves as a space divider. Adding a row of artwork can have the same space-dividing effect. 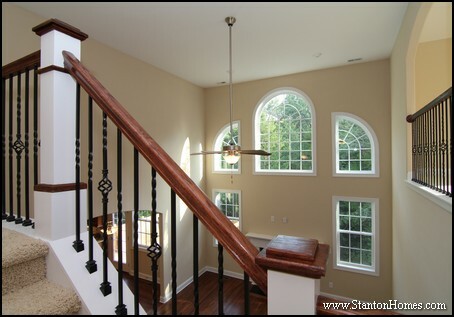 Two story walls give you more options for decorating, which can be daunting at first. Before jumping straight to ornate chandeliers that can fill the space, consider what types of use want to get out of your two story living room. In this custom Stanton Home, a large built-in entertainment center stretches across the widest wall in the room. This entertainment center is designed to draw your attention - and would look out of place against a large lighting fixture. 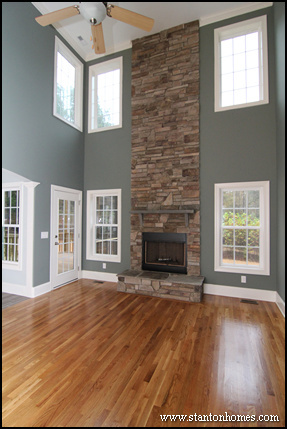 There are two ways to "ground" a full-height two story fireplace design. First, considering mounting a piece of art - or even a mirror - about two thirds the way up the fireplace. Make sure the art is the same width as the surrounding stone, brick, or wainscoting. Many modern home designs incorporate a wall-mounted TV outlet in the fireplace surround, so a flat screen TV could serve the same purpose. Second, you could place a tall piece of furniture or vertical piece of art on the opposite wall. This will de-emphasize the fireplace by giving it a counter-point, so you can avoid covering up any of the hand-crafted stonework.